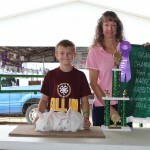 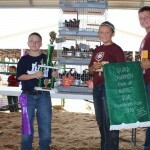 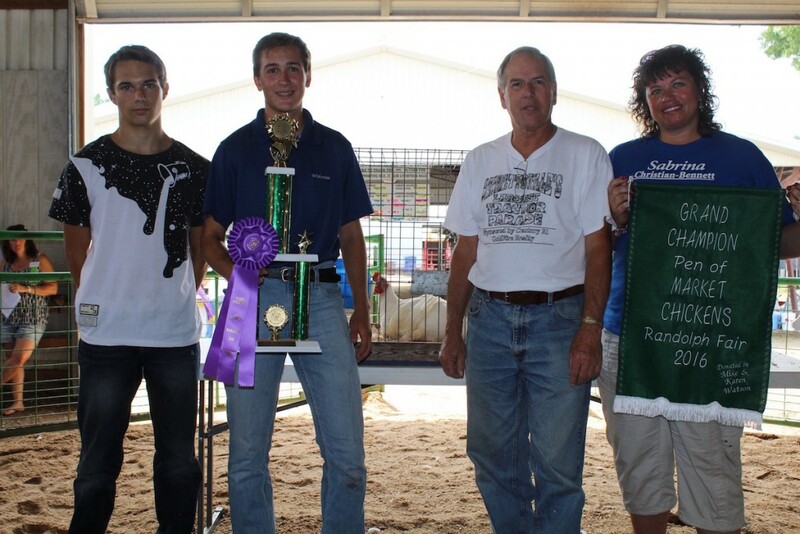 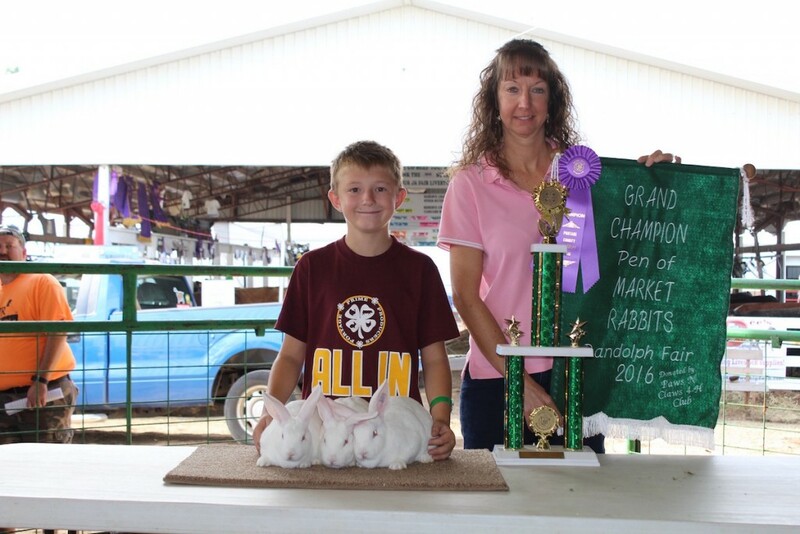 Drake Rennecker sold his grand champion pen of rabbits for $650 to Wendy Weese, representing East Manufacturing. 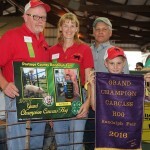 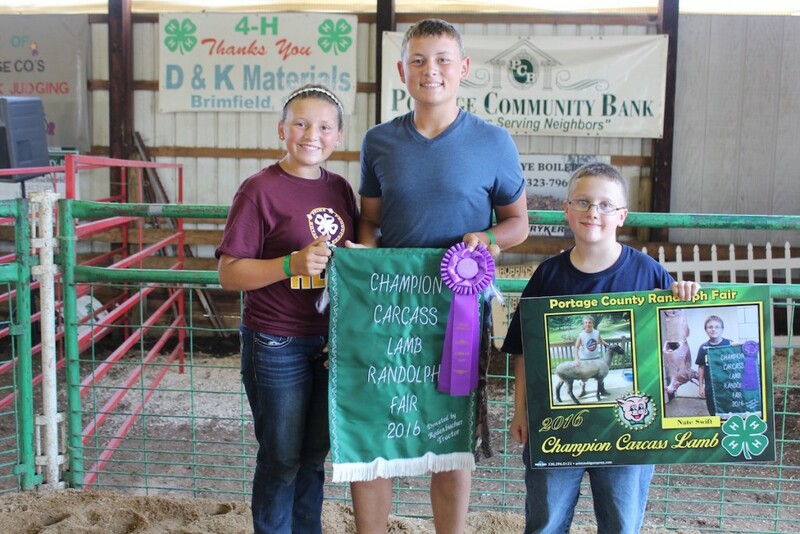 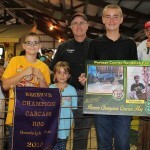 Nathan Swift sold his 48-pound champion carcass lamb for $12 a pound to Mackenzie and Cameron Langford, the buyers of the grand and reserve champion hogs. 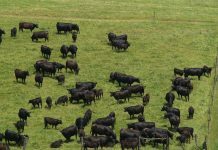 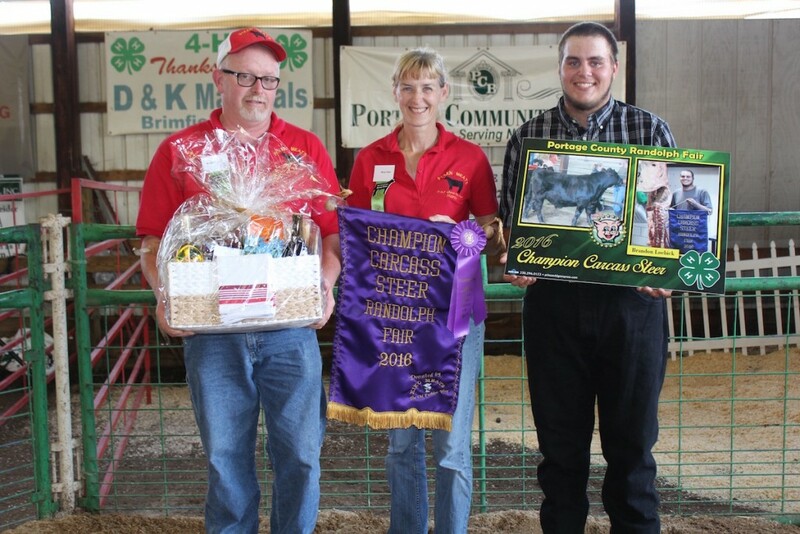 Brandon Loebick sold his 822-pound champion carcass steer for $6 a pound, to Polen Meats and Kiko Meats, represented by Brad and Nancy Polen. 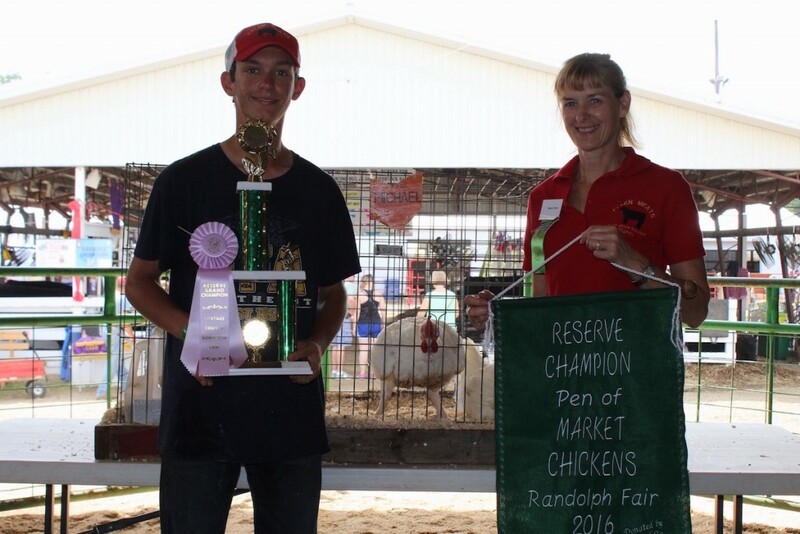 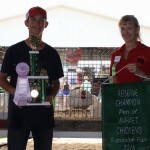 Jacob Mix sold his 27.05-pound pen of champion chickens for $900 to Bruce Smith of De-Lux Mold and Machine, and Sabrina Christian-Bennett for commissioner (right). 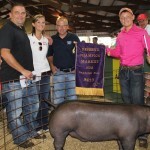 With them is Todd Smith (far left). 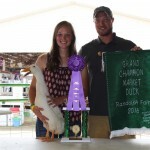 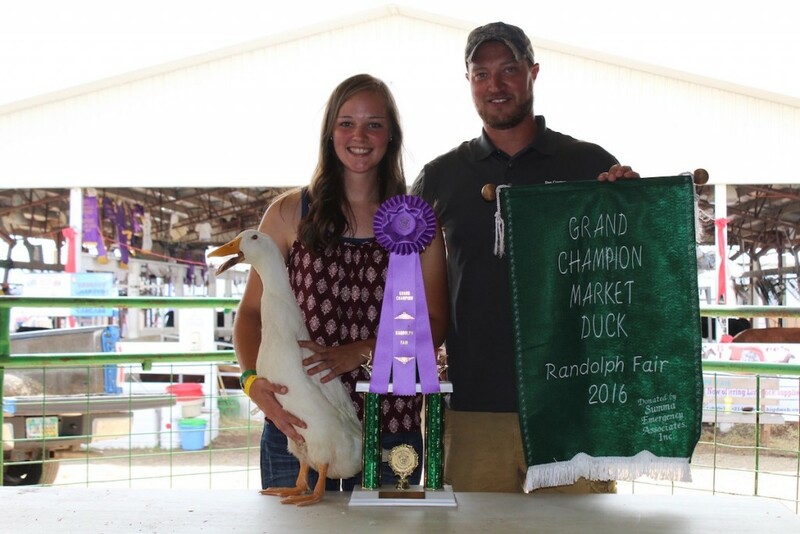 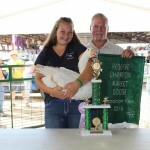 Andrea Coumos sold her 6.4-pound grand champion duck for $400 to Dan Coumos of Marlboro Concrete. 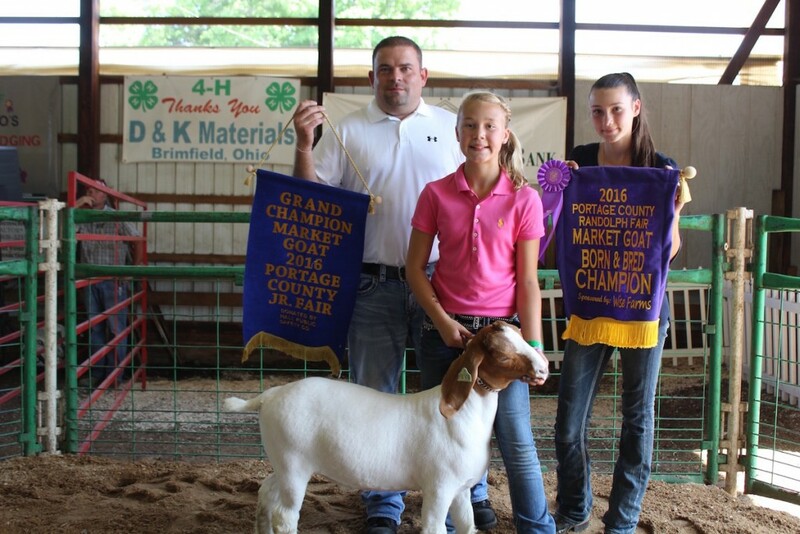 Kayla Lynn sold her 98-pound grand champion market goat for a record $1,650 to Sarchione Chevrolet, represented by Joe Sarchione. 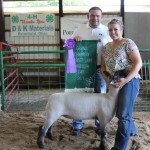 Also pictured is Lauren Lynn (right). 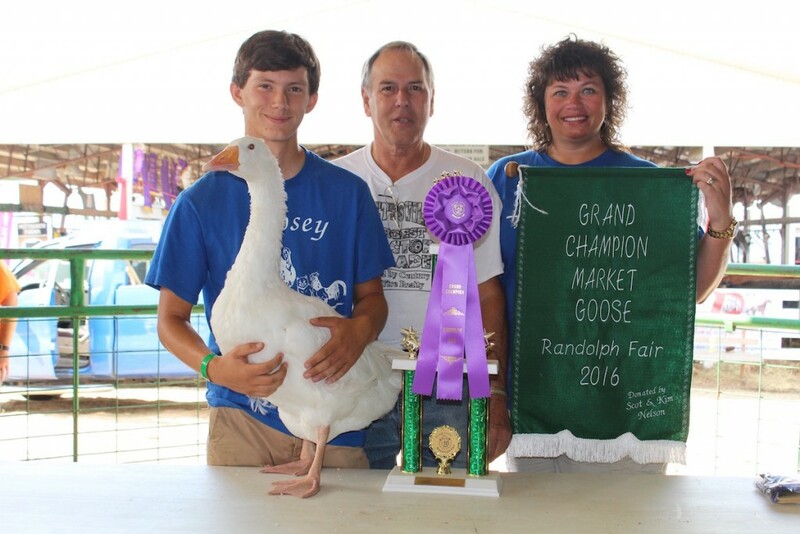 Brycen Sveda sold his 12.65-pound grand champion goose for $500 to Bruce Smith of De-Lux Mold and Machine. 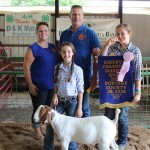 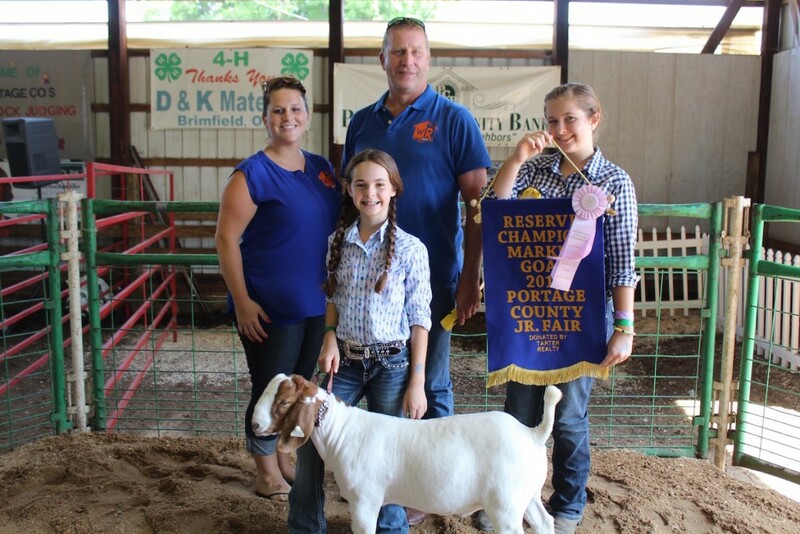 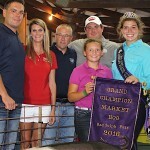 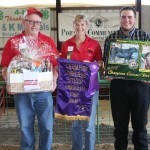 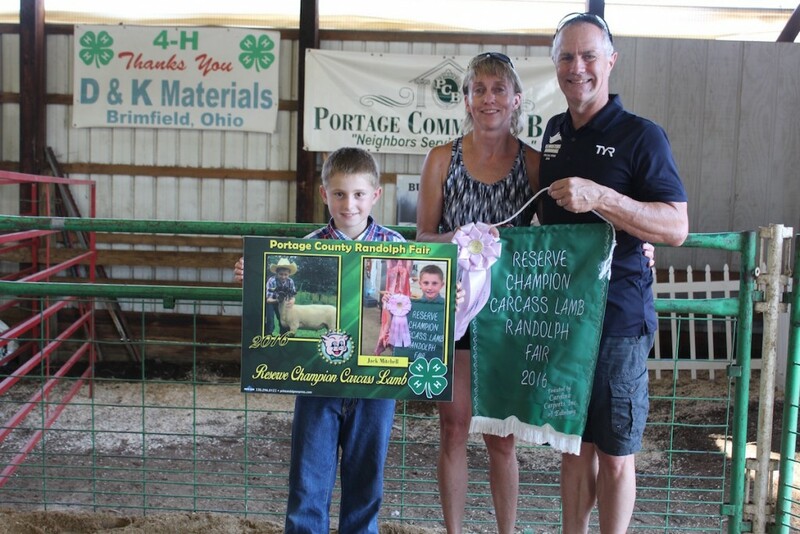 Samantha Eckhart sold her 143-pound grand champion market lamb for $14 a pound to Joe Sarchione of Sarchione Ford. 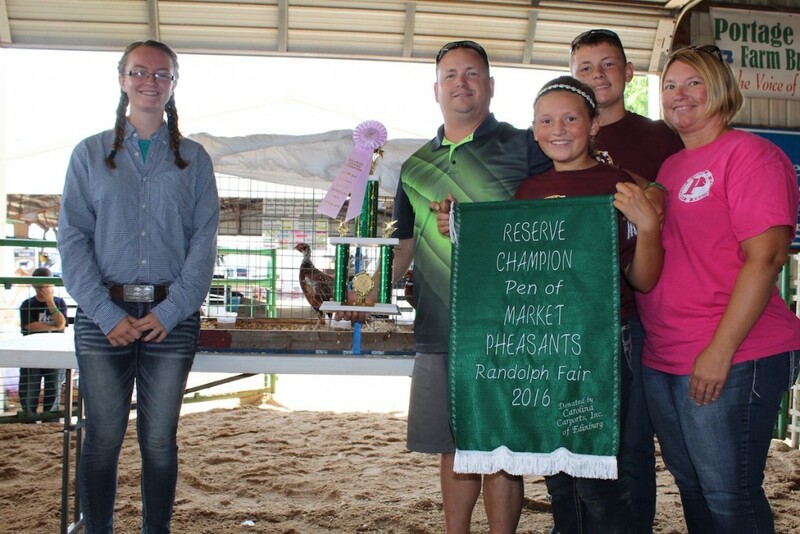 Mackenzie Swift sold her 7.4-pound champion pen of pheasants for a record $650 to Wendy Weese of East Manufacturing. 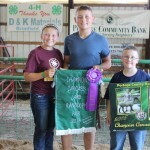 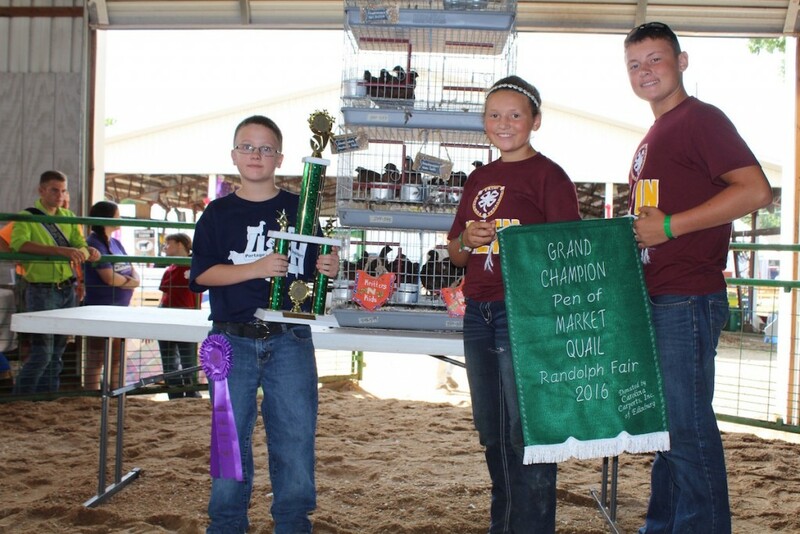 Nathan Swift sold his 2.85-pound grand champion market quail for a record $750 to Mackenzie and Cameron Langford, exhibitors of the champion hogs. 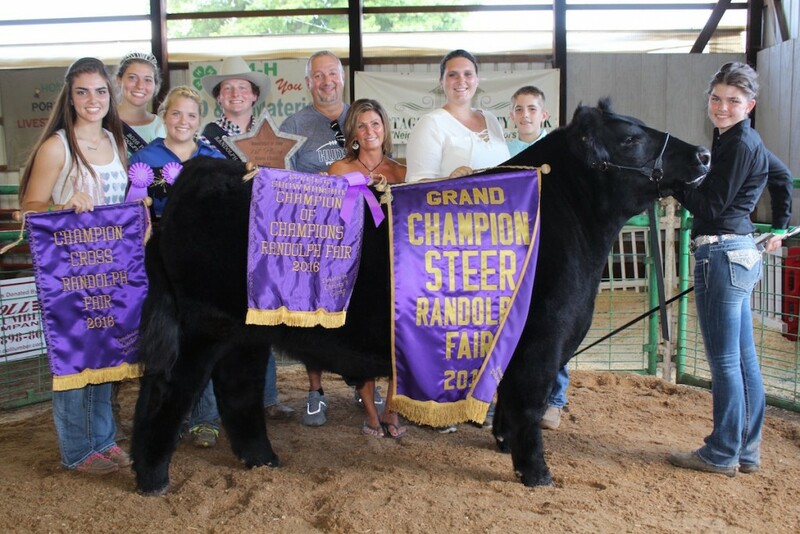 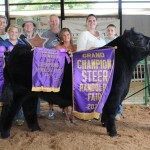 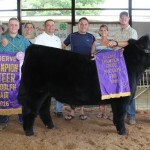 Caroline Blay sold her 1,340-pound grand champion steer for $12 a pound to Singleton Reels and Welch Anesthesia. 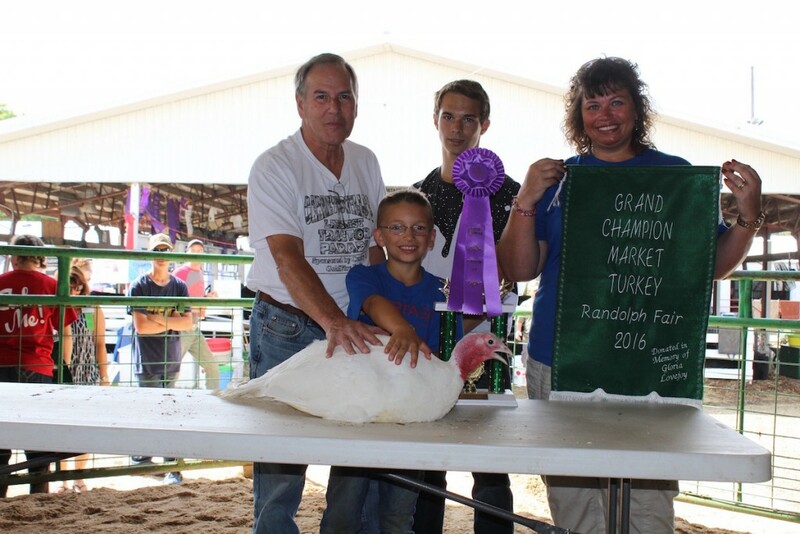 Lucas Ryan sold his 24.35-pound grand champion market turkey for $950 to Sabrina Christian-Bennett for commissioner (right). 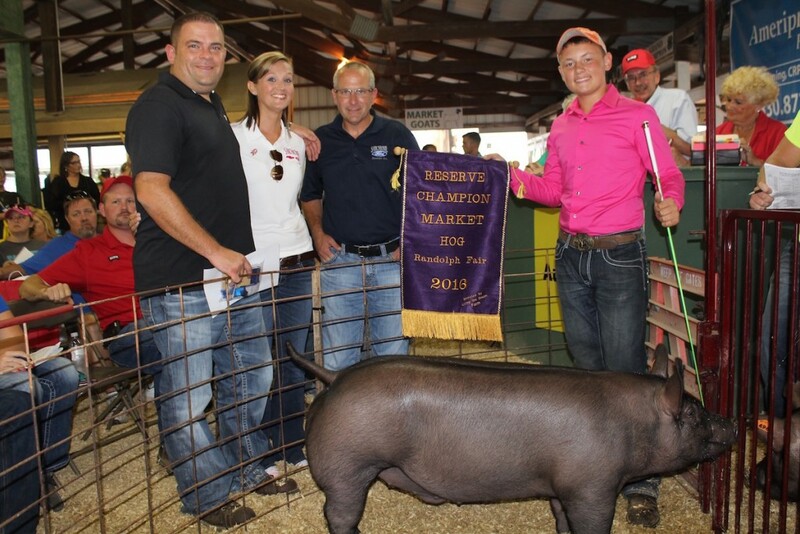 With them is Todd Smith (back center). 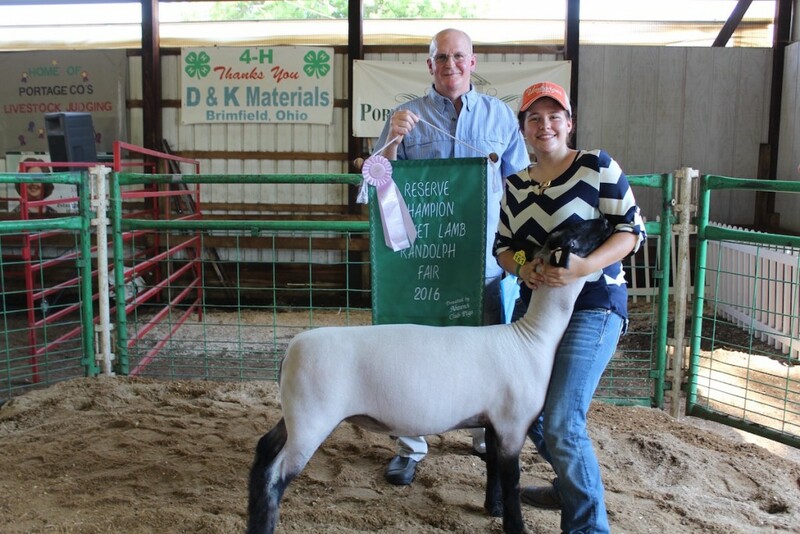 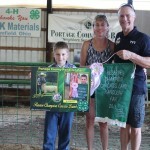 Jack Mitchell sold his 48-pound reserve champion carcass lamb for $13.50 a pound to Laura and Jack Groselle. 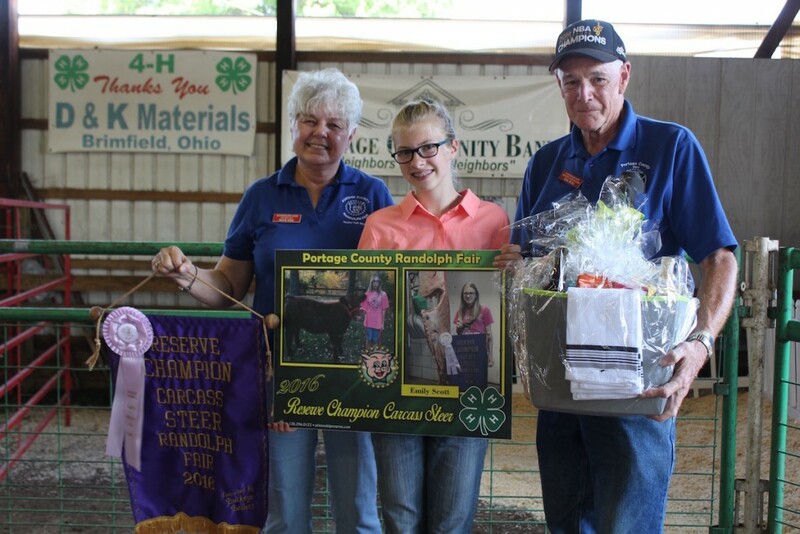 Emily Scott sold her 662-pound reserve champion carcass steer for $4.50 a pound to Tim and Diane Wise, representing Custom Laser. 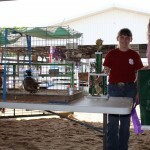 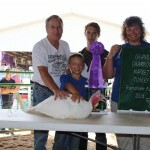 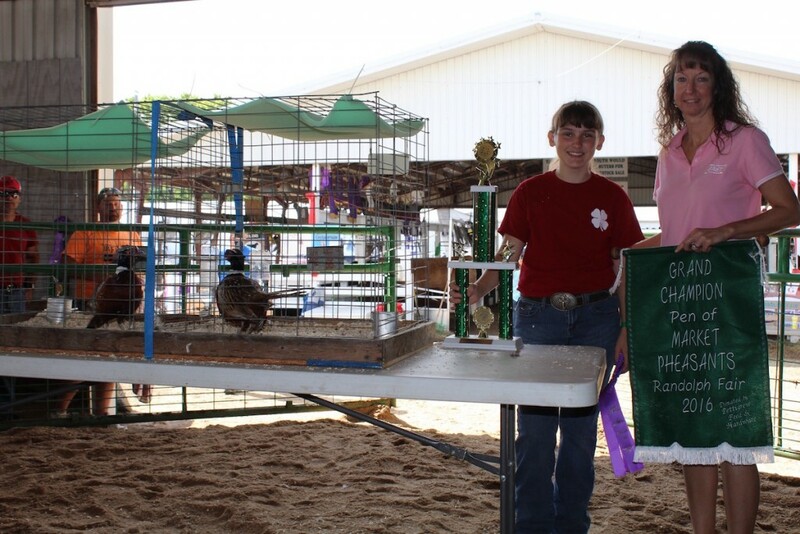 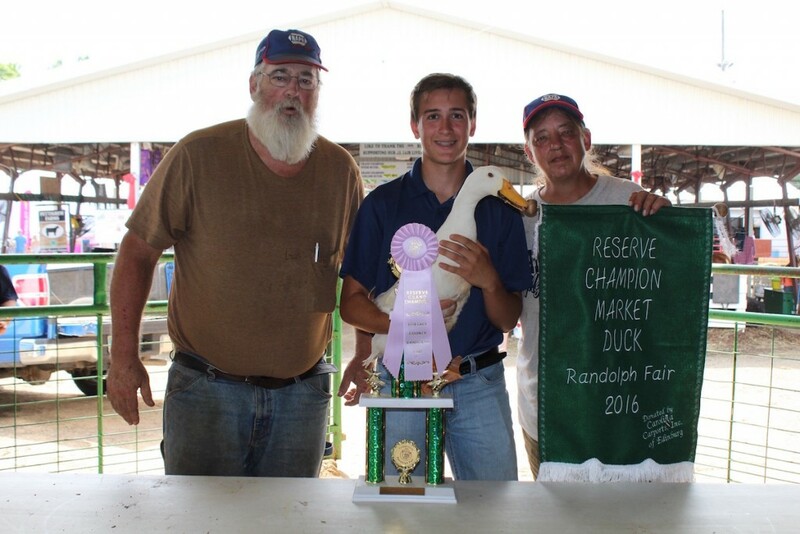 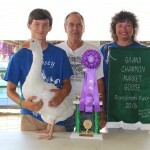 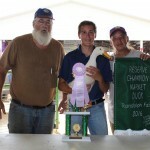 Jacob Mix sold his 6.75-pound reserve champion duck for $400 to Paul and Paula Hyde of Hyde’s Automotive. 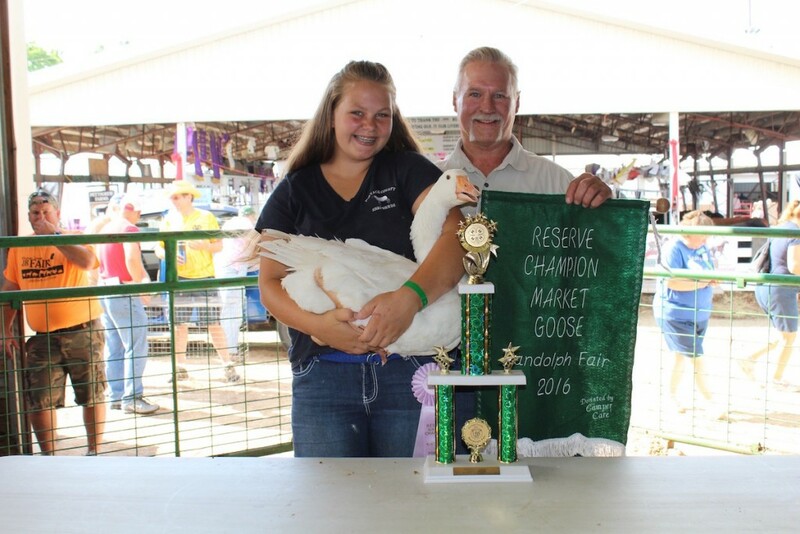 Elizabeth Carson sold her 12.2-pound reserve champion goose for $750 to Dave and Barb Bailey (unpictured). 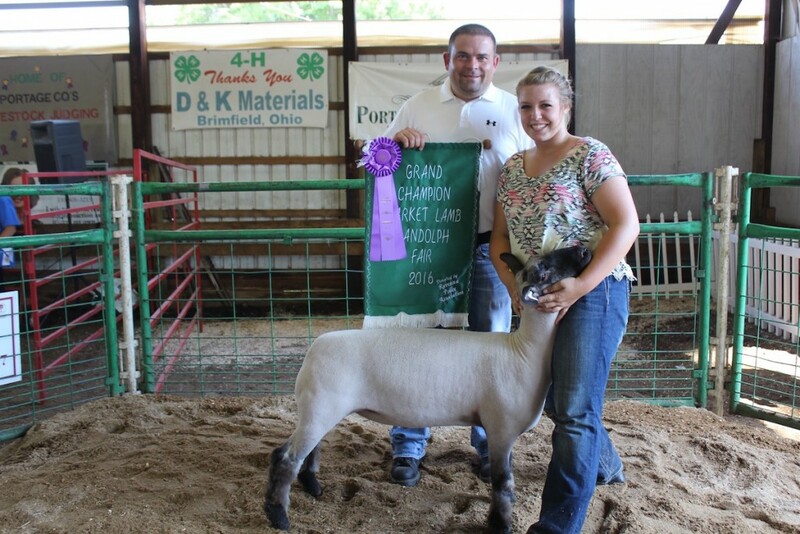 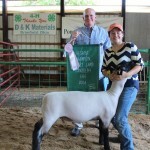 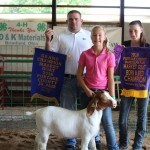 Kelsea Ebie sold her 142-pound reserve champion market lamb for $10 a pound to James Wilson. 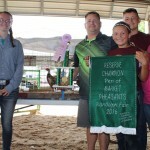 Amber Zavara (left) sold her 7.1-pound reserve champion pen of market pheasants for $650 to to Darrell and Angela Langford of Sunrise Springs Water Co. With them are children Mackenzie and Cameron Langford. 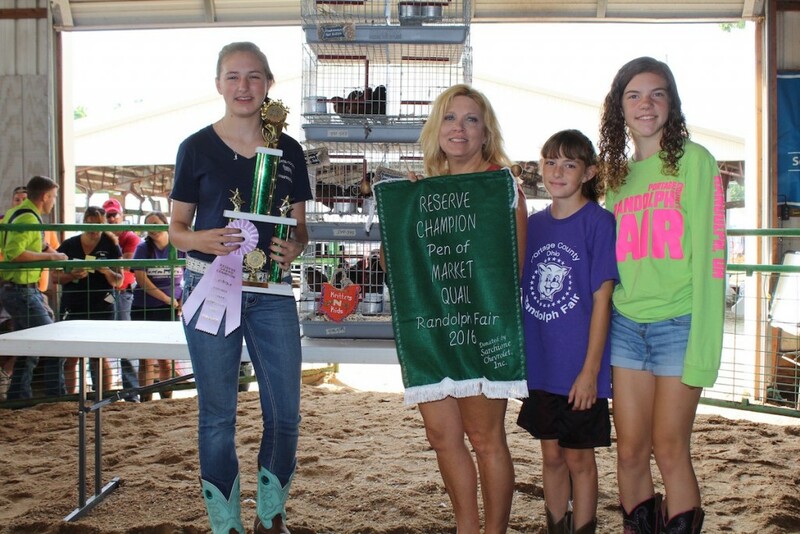 Autumn Richards (left) sold her 2.95-pound reserve champion quail for $650 to Denise Horning, and Julie and Kelly Rach, representing Ameriprise Financial and Horning Seasonal Storage. 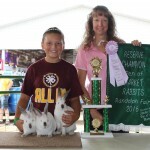 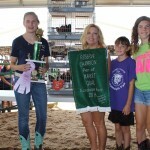 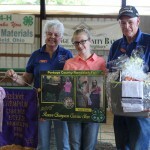 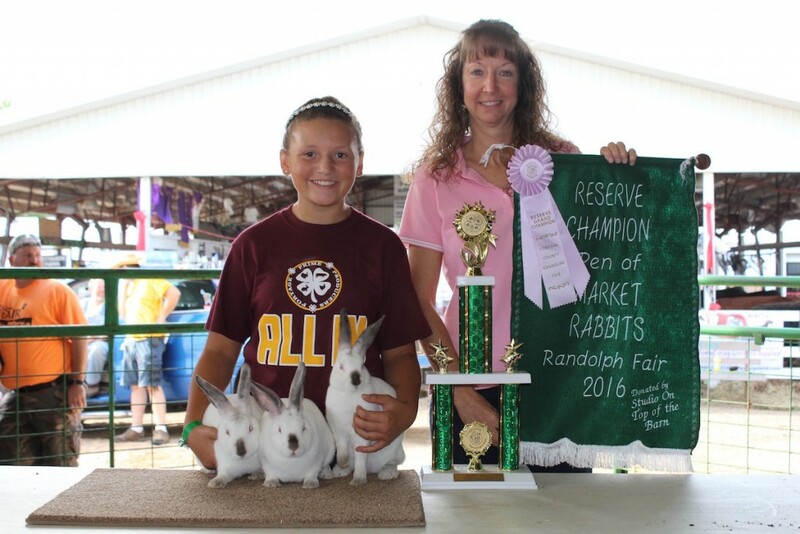 Mackenzie Langford sold her reserve champion pen of rabbits for $500 to Wendy Weese, representing East Manufacturing. 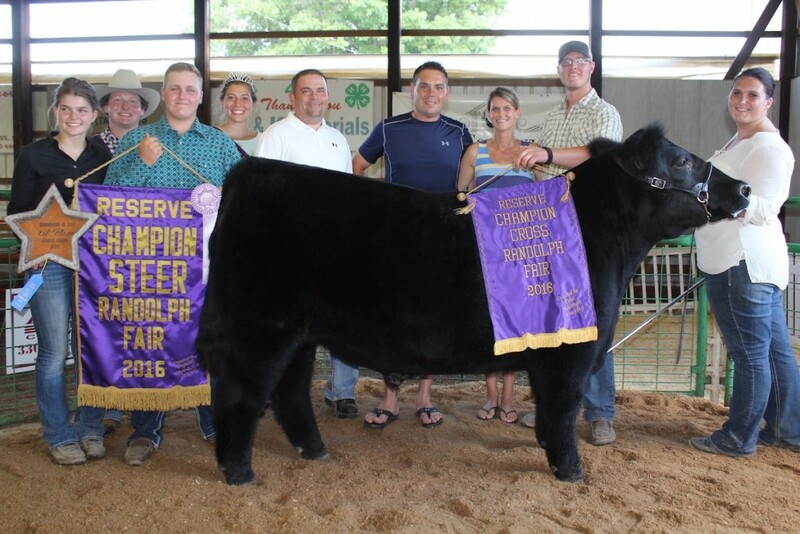 Kaitlyn Benjamin sold her 1,390-pound reserve champion steer for $6 a pound to Sarchione Chevrolet. 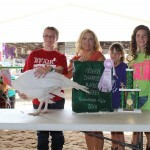 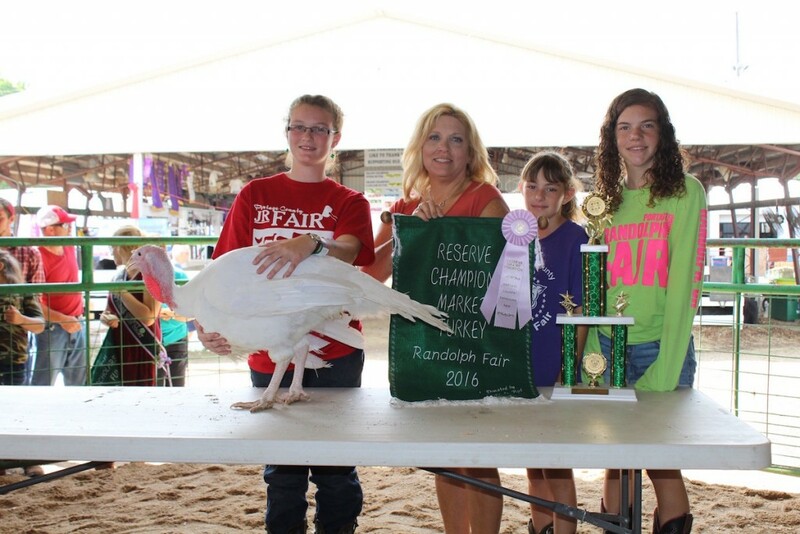 Emily Marek sold her 27.05-pound reserve champion market turkey for $650 to Denise Horning, Julie and Kelly Rach, representing Ameriprise Financial and Horning Seasonal Storage. 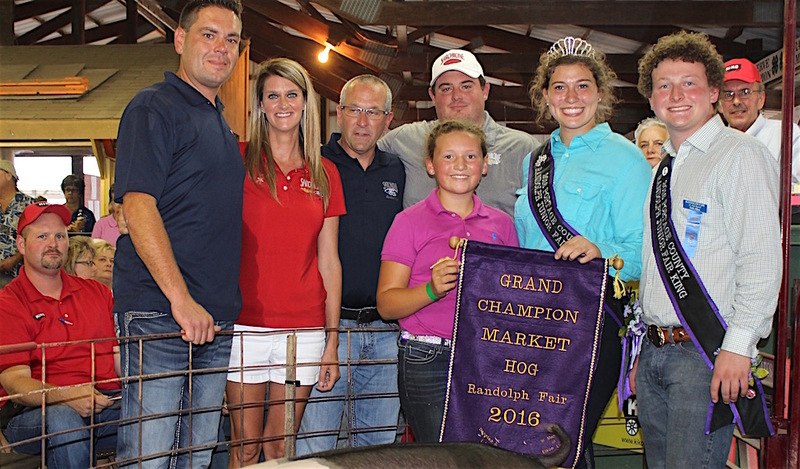 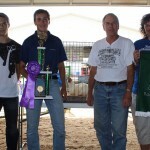 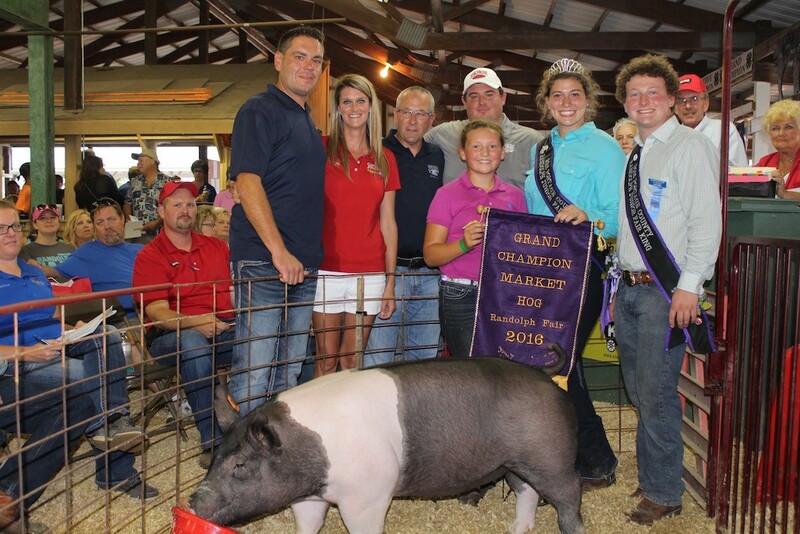 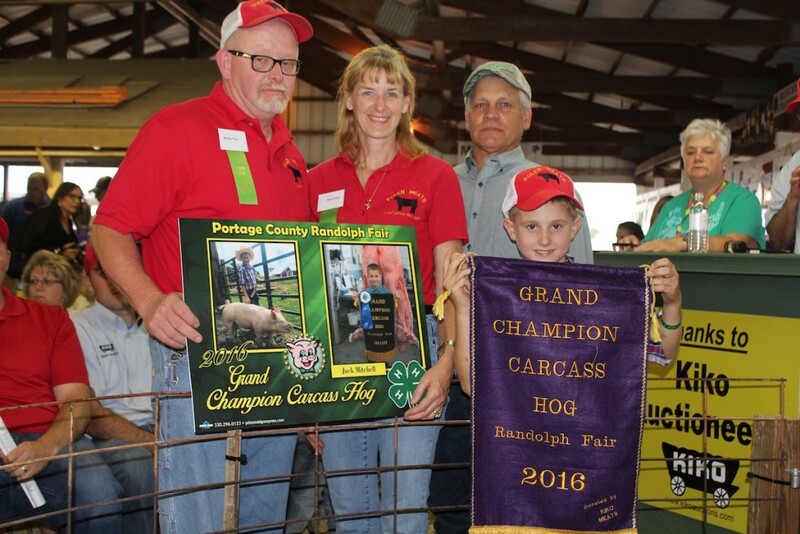 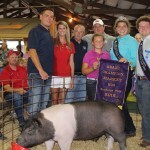 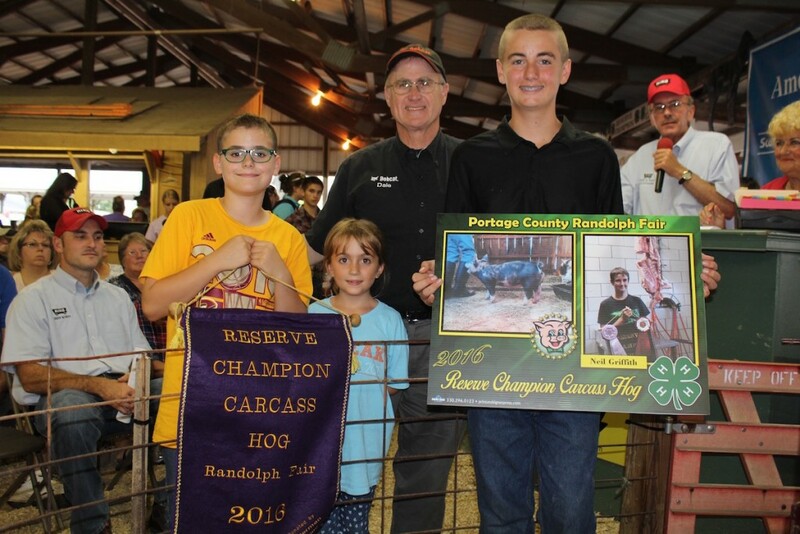 Cameron Langford sold his 274-pound reserve champion hog for $19 a pound to Sarchione Ford. 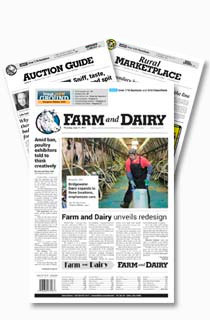 Buyer: Sunrise Springs Water Co.